There are picture books that teach; there are picture books about family; and there are picture books that have outstanding illustrations. 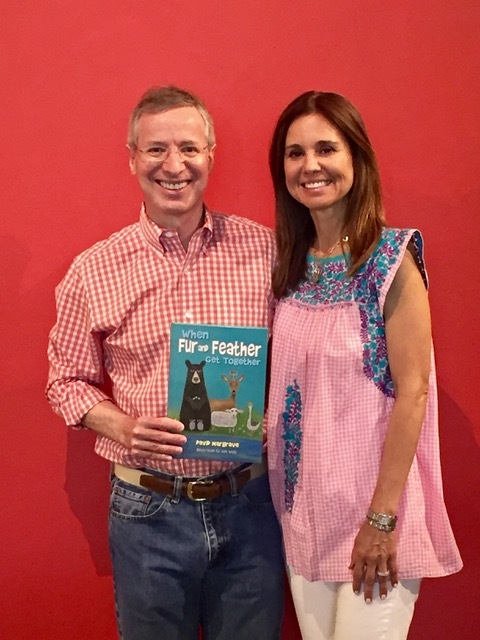 When Fur and Feather Get Together is a picture book that does all three - embracing the enduring themes of family, fun, learning and visual delight. Did you know that a sighting of a group of unicorns is so rare that it is called a blessing? When Fur and Feather Get Together is a fun and educational rhyming story about a father and child enjoying their lazy day together. Incorporating the warm and whimsical animal paintings of illustrator Kim Wyly, the father teaches his child what different animal groups are called. Ultimately, it is a book encouraging quality time spent together while leading to further exploration of surprising words and their meanings. This is a book that can be enjoyed equally by families as well as in a teaching environment. Wyly’s endearing and relatable illustrations of animals and nature are a perfect complement to the story. Frolicking across the pages of this rhyming picture book are beautifully illustrated foxes, owls, bears, sheep, raccoons, geese, fish, lions, whales, rhinos, monkeys and even unicorns. Check out these upcoming EVENTS and also some extra FUN & LEARNING resources that we've put together. Watch David's news interview and check out some of the photos below. You can purchase When Fur and Feather Get Together on Amazon by clicking the link below. If you prefer digital versions, you can also get the Kindle version.